Price listed is for three charms. 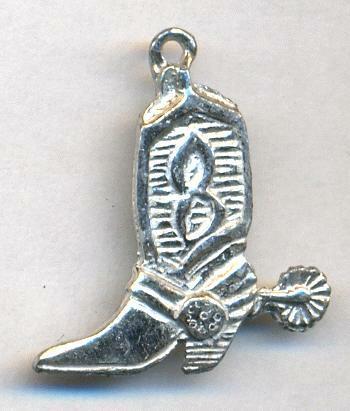 These are silver colored soft cast metal cowboy boots measuring approximately 23mm by 20mm. They have one loop at the top. These do not appear to be plated. They are a fairly dull silver color and appear to be raw metal.